Information for authors of papers appearing in Computer Communication Review: types of submissions accepted, the review process, implicit submission deadlines, public reviews, and manuscript specifications. Computer Communication Review (CCR) is a publication of the ACM Special Interest Group on Data Communication (SIGCOMM) and publishes articles on topics within the SIG's field of interest. 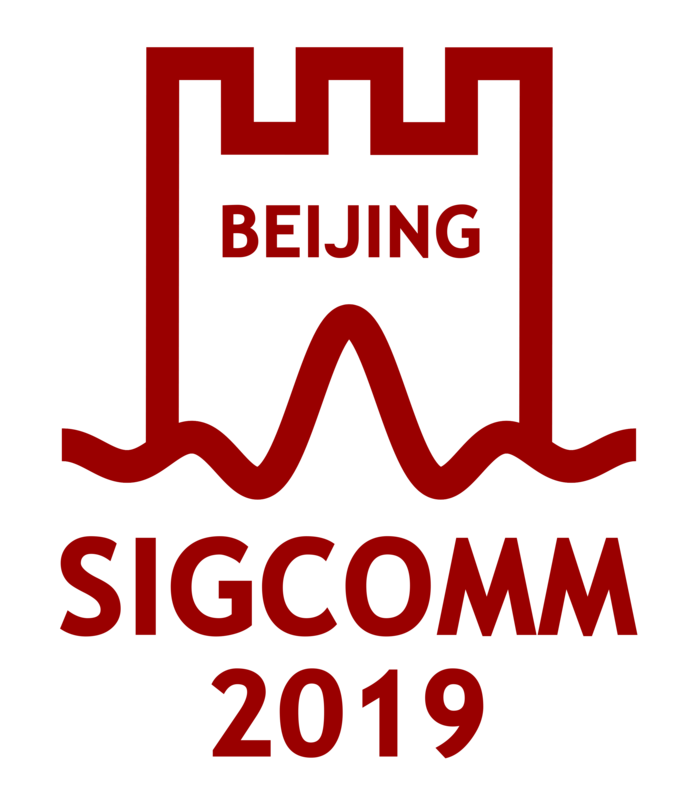 "SIGCOMM members include scientists, engineers, educators and students. They study all aspects of computer communications and networks: analysis, technical design, engineering, measurement and management. Our members are particularly interested in the systems engineering and architectural questions surrounding computer communication.Technical papers accepted to CCR typically report on practical advances or the practical applications of theoretical advances. CCR serves as a forum for interesting and novel ideas at an early stage in their development. The focus is on timely dissemination of new ideas that may help trigger additional investigations. While the innovation and timeliness are the major criteria for its acceptance, technical robustness and readability will also be considered in the review process. We particularly encourage papers with early evaluation or feasibility studies. " Papers accepted for publication are printed in the CCR print edition and are also made available on-line through CCR Online and through the ACM Digital Library. CCR accepts two types of submissions: technical papers and editorial notes. Technical papers are carefully prepared presentations of technical material within the field. If these extend previously published work, the additional contribution should be clearly identified. Paper selection is highly selective with acceptance rates comparable to ACM SIGCOMM conference, i.e., under 15%. Editorial notes are typically shorter and less formal presentations on topics of broad interest to the research community. They are not peer-reviewed. The scope for editorial contributions spans topics such as interviews of research scientists and industry leaders, editorials, conference reports, summary standards, NSF or European Commission user manuals, arguments on a research topic, outrageous opinion columns, timely tutorials, What's Worth Reading, and similar material. Letters from readers are also welcome. Authors considering submission of an editorial contribution are welcome to contact the Editor for feedback about its appropriateness, if desired. Prospective authors should follow the guidelines described here. Publication of a paper in CCR does not preclude the later acceptance of a related paper to any workshop, conference, journal or magazine. Our expectation is that enhanced versions of the work would be submitted to other venues as appropriate. Prospective authors are cautioned that some venues are likely to require that the work be enhanced to a significant degree before being considered for acceptance. Note that articles submitted to CCR should not be extension of previously published work, unless there is a new contribution in the paper. Articles not describing ongoing work or not containing new contribution do not match the objective of CCR. Articles submitted to CCR must not be submitted elsewhere, in accordance with ACM's double submission policy. We would also like to draw the attention of prospective authors to ACM's policy on plagiarism and self-plagiarism. Although CCR accepts submissions all year around, there are four implicit deadlines: December 1, March 1, June 1, and September 1. Papers submitted just before the deadline will experience a eight-to-ten week review process. Paper submitted between the 2nd of December and the 1st of March will be considered for the July issue. Paper submitted between the 2nd of March and the 1st of June will be considered for the October issue. Paper submitted between the 2nd of June and the 1st of September will be considered for the January issue. Paper submitted between the 2nd of September and the 1st of December will be considered for the April issue. Authors will be required to send their camera ready paper two weeks after notification (details below). Please contact the CCR Editor for editorial submissions, which should be submitted no later than eight weeks before the publication date. For example, editorial submissions for the January issue must be submitted no later than November 1 (which is two months after the technical paper submission deadline). The review process is carried out under the responsibility of the editorial board. All CCR technical submissions will be reviewed by up to three reviewers. The target turn-around time for the review cycle is approximately ten weeks from the submission deadline, so that accepted papers are published in the issue of CCR following their submission deadline. Editorial contributions will be reviewed by the Editor. Most papers will be either accepted or rejected. However, when the review process suggests significant revisions, papers may be revised and resubmitted to the next issue. Authors are allowed to appeal editorial decisions. In such instances, they can submit a rebuttal of up to 300 words to the area editor in charge of the paper or to the Editor. The Editor will make every effort possible to ensure a fair handling of any such request as well as a prompt resolution and final editorial decision. Accepted papers will be accompanied by a public review written by the paper's assigned Area Editor. The public review provides insight (based on the reviews and possibly an independent third party comment) of motivations for accepting the paper - pointing out the contributions and interesting aspects of the paper, mentioning perceived shortcomings, identifying broader issues raised by the work, etc. If the paper includes artefacts, a second public review will discuss the quality of the provided dataset or software and the efforts required to replicate the paper's results. Authors of accepted papers will have the option to comment on the public review in a subsequent CCR issue. To exercise this option, authors should submit a comment of up to 500 words to the Editor. Submissions are limited to 6 (six) two-column-formatted pages. However, there is no page limit if the paper provides the artefacts that are required to replicate its results. In this case, the authors must provide in an appendix a detailed description of how to replicate the results described in the paper. For those replicatable papers, the acceptance bar increases with the number of pages. Submissions must be in PDF format. Submissions in other formats may be rejected. Manuscripts should be single spaced (except for papers containing a great deal of mathematical notation; these should be prepared with as little additional line spacing as possible). Please use a common font and do not include printer specific commands. Papers should be formatted using US Letter. Please do not include a copyright block on the front page. Please do not use graphs, charts, or figures that depend on color to be legible. Files larger than 4 MB (uncompressed pdf) will not be accepted. Authors are responsible for checking that their paper prints and reads in black and white on a standard printer. If your submission is a revision, please create a new submission, and add a comment identifying the previous paper ID. First, the authors submit, using the online system, a PDF copy of their paper revised according to the recommendations made by the reviewers. Authors must explain how they have addressed the reviewers' comments. The revised paper is sent to the appropriate Area Edtor, who will confirm that the revised paper adequately addresses the reviewer's comments. When this approval is granted, the paper is ready for publication. Since the papers are published online and not anymore in print, authors are strongly encouraged to provide clickable URLs in the papers. For the URLs that are referenced in the paper, this can be achieved with the latex url package. For the bibliography, authors are strongly encouraged to provide clickable Digital Object Identifiers for all the references that are identified by a DOI. Please refrain from providing links to personnal home pages and other non stable URLs in the bibliography.